Stone comes from the 1000′ level of Eastern Washington. Edges typically sharp and crisp but can be rounded. Will have flat sides as well as angular. Bronze-brown colored on outside; black inside when chipped. 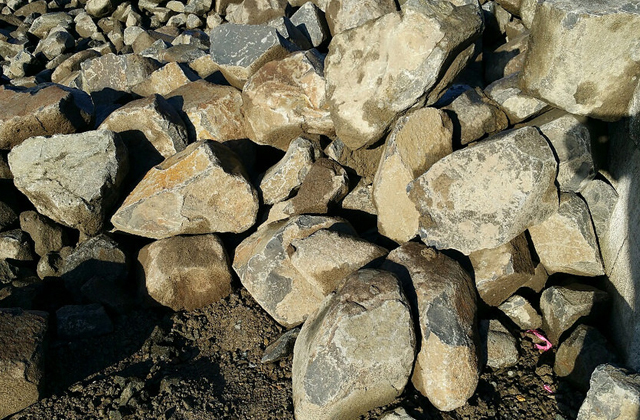 Stone size: Typically larger than 15″ diameter; Usually from 500 lbs – 12,000 lbs. 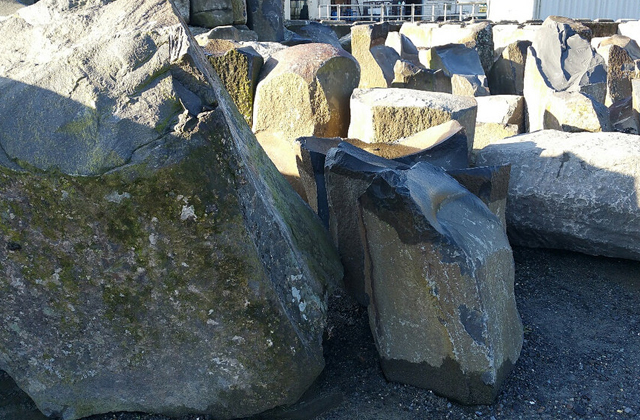 Stone comes from around the 2300′ level of SE Washington state. Edges more rounded with some sharp edges. Can be blocky or rounded. Bronze-brown colored on outside; black on inside when chipped. Typically smaller than 15″ diameter; Usually under 500 lbs.